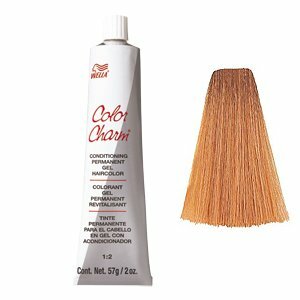 Color Charm Liquid Permanent Hair Color 8RG/729 Titian Red Blonde . This product is Manufactured in United States. This Product is Easy to use. Color Charm Liquid Permanent Hair Color 8RG/729 Titian Red Blonde . 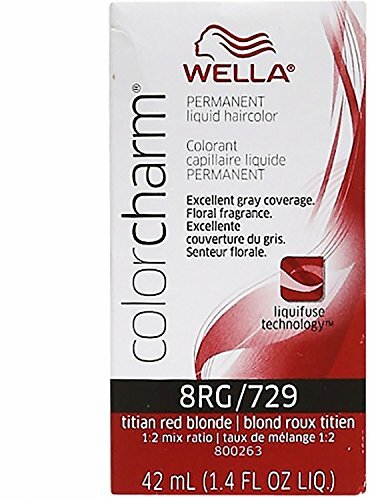 Wella Color Charm Gel #729 Titan Red Blonde Wella Color Charm Gel #729 Titan Red Blonde is the haircolor that makes sense . It is easy to understand and formulate. It has a long lasting brilliant result. The color you want is always the color you get and Color results are true to tone. It mixes smoothly each time to allow for quick and easy application. FOR PROFESSIONAL PURCHASE ONLY. Wella Color Charm's new packaging utilizes a color-coded tonal family system, making shade selection easy. Liquid Permanent Hair Color Time tested formulations ensure consistent, predictable results. 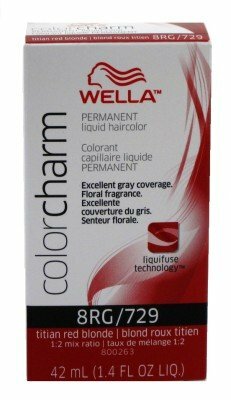 Permanent Liquid Haircolor. Vibrant, Long Lasting, Fade Resitant Results. Excellent Grey Coverage. Great Conditioning. A Gentle Floral Fragrance. 6 Pieces - 1.4 Ounce (41ml);Permanent Liquid Haircolor. ;Vibrant, long lasting, fade resitant results. ;Excellent grey coverage. ;Great conditioning. With Liquifuse Technology, New Floral Fragrance., Excellent Gray Coverage! 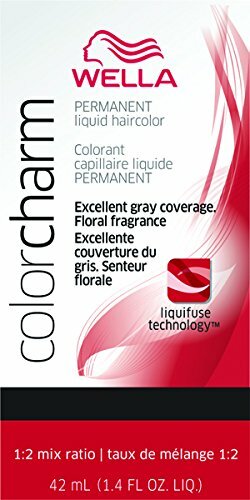 Vibrant, long lasting, fade resistant results Excellent gray coverage Great conditioning +A gentle floral fragrance Directions for use: Mix 1 part Wella Color Charm luiquid color with 2 parts Wella Color Charm Developer. Apply to the hair using either an applicator bottle and brush Developer for 30 minutes and up to 45 minutes if additional depth or gray coverage is needed. Dyeing for Wella Color Tango 8RG Light Copper! 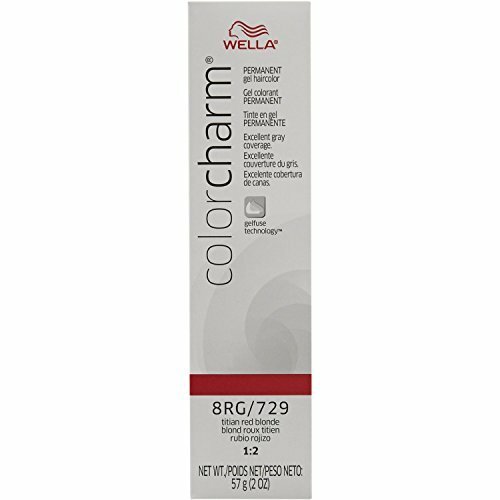 Compare prices on Wella Color Charm 8rg at ShoppinGent.com – use promo codes and coupons for best offers and deals. Start smart buying with ShoppinGent.com right now and choose your golden price on every purchase.